PRW Rocker Arms Buyer’s Guide – Tech Tips Included! The basic design of a rocker arm hasn’t changed much over the last 40 years. Materials have improved, bearing designs have been updated and re-engineered, but the same basic part still exists to this day in just about any overhead valve engine. Basically, it’s a fulcrum-style leverage device that, along with the lifters and pushrods, transfers the rotational motion of the camshaft into linear motion to open the valve, and then it allows the valve spring to close the valve. PRW Industries has been in the rocker arm manufacturing business since 2004. The company was founded with one goal in mind – to design and build technically-advanced yet affordable-priced engine parts. Following is a review of the company’s rocker-arm systems, both stud mount and shaft mount. PRW’s rocker arms are checked multiple times during the production and packaging process to ensure their performance. 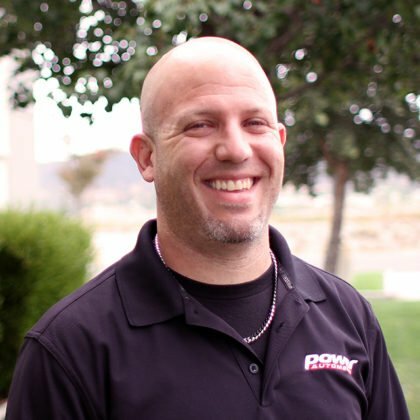 PRW offers a full lineup of pushrods and recommends that the pushrod length be checked properly on every engine build. In fact, they include a pushrod length checker in every shaft-mount rocker kit they sell, so there’s no excuse for an engine builder or enthusiast to omit checking what’s possibly the most critical dimension in the engine save for main bearing oil clearances. The company offers rocker arm applications to cover the most popular applications in the marketplace. The product is manufactured overseas from the company’s in-house designs, and its engineering department features a staff that’s fluent in both languages to ensure that the development process is seamless. The overseas factories choose specific materials; castings, extrusions and component parts that are designed to hold up to the challenging environments found inside an engine. “If you look carefully at our product selection–between the aluminum rocker arms, the stainless-steel rocker arms, the alloy rocker arms and the sportsman rocker arms–we probably have the largest selection of rocker arms and cover more applications than anyone else in the industry right now,” says PRW’s President, Bill McGloghlon. Controlling the quality is addressed at every step – from the engineering process to the steps of the manufacturing process to the final quality inspection prior to being packaged for shipment to the US. Once the product arrives stateside, there is a separate inspection team that unboxes all of the product, measures the specification against the blueprint and ensures that the quality standard. The company offers four lines of stud-mount rocker arms – the Sportsman Series, Pro Series Aluminum, Pro Series Steel and Performance Quotient Platinum Series steel rocker arms. The Sportsman Series rockers are constructed from 4340 steel and use a roller tip to reduce friction and minimize scrubbing the valve top, while also working to free up horsepower. These are designed for many domestic engines and are ideal for a mild street rebuild, off-road, circle track and drag racing performance. They use heat-treated pivot balls and PRW’s Rockerlocs to ensure that they stay secured under load. Rated at 350 pounds of open spring pressure, these have a multitude of uses. Moving up the ladder, the Pro Series Aluminum Rocker Arms add a roller fulcrum to the equation and offer weight savings over the Sportsman Series pieces. The Pro Series Aluminum rockers are made from 6061-T6 precision-machined extrusions that have been finished by hand. These stud-mount rocker arms are rated at 750 pounds of open spring pressure, offer an internal oiling system and PRW’s Rockerlocs standard along with a wide assortment of ratios. Chevrolet, Ford, GM LS, and even AMC/Oldsmobile/Pontiac applications are supported in the PRW catalog. These small-block Chevrolet rockers are self-aligning and CNC-machined from 6061-T6 aluminum extrusions. The next two options in the catalog are constructed from stainless steel. Stud-mounted Pro Series rocker arms are investment cast from 15-5ph stainless steel that is high in nickel and chromium. The stainless material provides high yield strength to resist deflection – these rockers are good to 850 pounds of open spring pressure. Nose rollers and shafts are CR40 steel that has been heat-treated and hardened to minimize scrubbing. Rockerlocs are included, and the rockers feature friction-reducing needle bearings throughout. The Pro Series rockers fit most domestic applications. The company’s premium stud-mounted product, the Performance Quotient (PQx)Platinum Series rocker arms, are investment cast from 17-4 stainless material that is fully polished to minimize stress risers. These rockers handle up to 950 pounds of open spring pressure thanks to the .875-inch micro-polished trunions and fully-caged needle bearings. They are designed with extra clearance to handle the most aggressive large spring designs. Many of the features of the Pro Series are also applicable here, like the high-strength CR40 steel nose rollers and shafts. PQx Platinum Series stainless steel rocker arms are investment-cast from 17-4ph steel and are fully polished to remove potential stress risers. These rocker arms will handle a monster 950 pounds of open spring pressure. “We took the basic design and strengthened it by adding a 1mm ridge across the entire top line, leaving enough room to do a CNC-machined pushrod cup. Anything over 900 pounds of open spring pressure is a problem if you don’t have a CNC-machined push rod cup,” McGloghlon says. Stud-mounted applications have limitations, however. While the rocker design allows for high rpm and load, the studs do not. 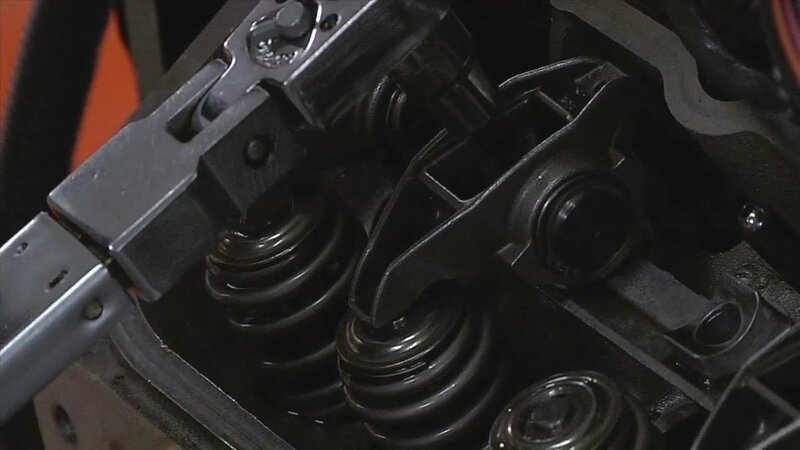 As they are fastened to the cylinder head at only one end, adding double and triple valve springs to control valve float hampers valvetrain stiffness. Many users will choose to add a set of stud girdles as a stopgap between a traditional stud-mount rocker setup and the use of a shaft-mount system as they upgrade the engine for more aggressive performance and more RPM. There is a threshold with spring pressure and rpm for the change from stud-mount rockers to shaft-mount rockers. Some of it also depends on application, whether the engine is used for class-style racing where only one type of rocker is permitted, and other factors. For example, a circle track racer running 7,200 to 7,800 rpm on a stud-mount rocker absolutely requires a stud girdle to cut down the potential for valve float; that racer may also not be in a position due to rules to upgrade to the shaft mount rocker. The company manufactures stud girdles for a wide variety of applications. The CNC-machined girdles are manufactured from 6061-T6 aluminum and help to reduce rocker stud flex and retain valve lash settings for more consistent high-rpm performance. Rockerlocs are included. One critical consideration for any engine is to sit down and plan out the entire build prior to starting any machine work or purchasing any parts. Many enthusiasts start out with one particular idea in mind, and it’s very easy to get off track and off-plan and end up with something completely different. Purchasing parts without a solid plan can create large budget challenges, or worse, wreck the budget completely. “They’re buying parts as they go and they’re not thinking about what they’re going to end up using or doing. Somewhere along the line they find out ‘I can get this crankshaft,’ and so they switch over. That changes a lot of parts that you would typically buy or may have already bought. It’s the same thing on the rocker arms. You have to plan what you’re going to do, because it makes a big difference in the camshaft choice, whether or not you’re running flat tappet or a roller cam,” says McGloghlon. Shaft-mounted rocker arms offer substantial improvements in durability and consistency, and require a careful check of the roller’s sweep across the valve tip during the setup process to ensure proper stand height. Shaft-mount rockers require careful installation. When setting the stand height, the engine builder of enthusiast should check the sweep of the roller tip across the valve. The sweep of the roller tip should be outward, with the tip changing direction between one-quarter and one-half of maximum lift. Shaft-mount rocker systems add substantial strength to the equation by removing the single mounting stud from the equation and replacing it with a shaft-mounted rocker arm that uses multiple fasteners. Shaft-mount rockers offer vastly improved rigidity and reliability; by supporting the rockers on the steel shaft, it means that the rockers can’t move from their fixed location due to stud flex. The rockers are held in perfect alignment, which allows them to handle the higher loads and rpm. These FE shaft rockers feature a profiled underside for extra valve spring clearance. The reduction in friction permitted by the shaft rocker design allows the engine to handle higher lift ratios and seat pressures while assuring accurate valve timing and control. Shaft-mounted rockers also hold their valve lash adjustments for a longer period of time and are vastly simpler to adjust than a stud-mounted rocker arm with stud girdle on top. “I tell guys to not bother with the girdle and just run a shaft-mount rocker system. By the time they get to the price point of buying a stainless steel rocker with a stud girdle they can move into a shaft mount for nearly comparable amount of money. If you run our stainless steel rocker with a stud girdle you’re looking right around the neighborhood of $450. You can run into a shaft mount system for $600 to $700,” says McGloghlon. PRW’s PQx Platinum Series Aluminum Shaft Mount big-block Chevrolet system, for example, is delivered with 1.7:1 needle-roller-bearing rockers, CNC-machined steel pedestal stands, eight pairs of shaft-mount rockers, adjustable cup-style valve lash adjusters, all related fasteners, shims, and hardware required for installation. The rocker bodies are relieved of material in non-critical areas for extra valve spring clearance and anodized before packaging for good looks. Internal oiling is standard. One of the advantages to the shaft-rocker design is the multiple points of retention – this helps to reduce flex and maintain accurate timing events. They are available for many popular cylinder head configurations with a variety of ratios, including split intake/exhaust ratios – where other manufacturers require the end-user to purchase two sets of rockers to mix ratios, PRW sells them as a complete kit. “The FE is unique in that both the aluminum and the stainless systems use a silicon bronze bushing, so it does provide a little bit of commonality between the two different materials there. The complete kit includes pushrod length checkers, shims, everything a guy needs to get these installed except pushrods,” explains McGloghlon. The company’s shaft-mount rocker systems come with everything needed for a proper installation – except the pushrods. The included pushrod checker should be utilized to determine the proper length for use with the new parts. On the flip side of the company’s shaft mount rocker systems are their Performance Quotient stainless steel versions, which use investment cast 17-4ph alloy steel for the ultimate in strength. 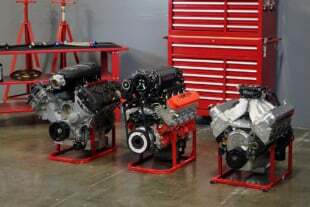 One of the shaft mount systems they are very proud of is the Ford FE system, which fits a wide variety of cylinder heads – low- and medium-riser, tall-port OEM production, and even Edelbrock and other aftermarket designs. They have also developed a system for the 5.7L/6.1L/6.4L modern Hemi engine, utilizing 4135 chromoly shafts, steel hold-downs, spacers, and shims. It’s designed as a drop-in system to replace all of the standard valvetrain components and offer a substantial increase in strength over the factory units. These rockers require no additional machining to the cylinder heads in order to fit the Hemi. The company’s modern HEMI rocker system has been developed to require no additional machine work, and uses standard OEM oiling through the silicone/bronze bushings. PRW’s rocker systems, whether they be for stud-mount or shaft-mount applications, have been engineered to be cost-effective solutions for the engine builder and enthusiast alike. With quality control one of the main tenets of the business operation, they’ve built a solid lineup of products that can be used by all levels of enthusiasts. From stud to shaft, the premise is simple – open and close the valves on time, with consistency, reliability and durability. With multiple factories producing a wide variety of products engineered to do just that, PRW has carved out a niche in the marketplace for no-nonsense products that work.